The film, which explores an academic scandal, is being written by Ta-Nehisi Coates. 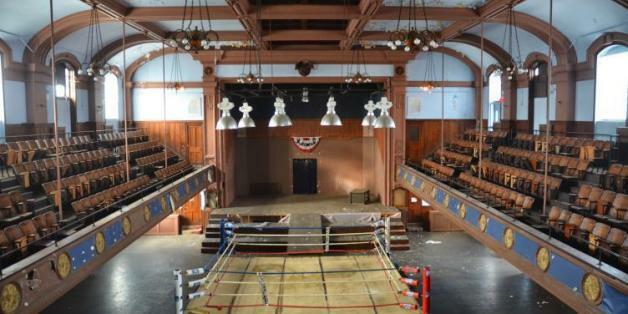 The weathered building, which now resembles a forgotten boxing champ, stands as a haunting monument to America's fickle sense of entertainment. Though only 29, Michael B. Jordan has already developed a 15-year filmography full of intense roles on both television and the silver screen. Creed star Tessa Thompson has landed a key role in Thor: Ragnarok. There's a lot of water under that bridge (of spies). "Everything was happening so fast..."
I must say, I love Christina Jackson, and not just because she studied and graduated from the Arts High School in Newark, New Jersey, but because she totally corrected me when I goofed up about her HBO Boardwalk Empire seasons. Michael B. Jordan's particular situation describes one of the many problems faced by actors of color, at least inasmuch as it relates to the Academy Awards. Basically, 99% of Islam is the belief that there is One Supreme Being and Creator that is entirely other than the universe, and upon which the entirety of the universe is dependent. If you've been following the Oscar prognosticators, you know the big favorites have been Spotlight, The Big Short, The Revenant, and Carol. How pleasing to find some surprises--sort of--on the academy members' lists! But don't worry, he righted his wrong during the break. Supplying a bit of history, the young filmmaker came to him early on with the idea for Creed, and Stallone put him off. Stallone quipped that he wasn't even born until Rocky IV. Then Coogler made Fruitvale Station, a game changer, starring the actor Michael B. Jordan. It's been a great year for movies, with a diverse assortment of high-profile and smaller scale films, true stories and big surprises, all emerging as some of my favorites for this year. Here's a countdown of my top ten for 2015. What a weird, often sad, poignant year 2015 has been in pop culture. It was the year of Bill Cosby's demise, Taylor Swift's continual rise, the emergence of Caitlyn Jenner, and the unstoppable power of the force. Sometimes we can learn a great deal by going to the movies, which is why I encourage my students to see films. The recently released film, Creed, is a case in point. Actors Will Smith and Teyonah Parris were also top winners.